A few weeks ago, I was knee-deep in Wakanda. As many of you know, I write about pop culture for various websites, so with Black Panther on the horizon, I was in heavy demand. If you wondered why I haven’t had an official Black Panther review on JUST ADD COLOR, that’s the reason why. But I didn’t want to leave you guys in a lurch and try to track down everywhere I’ve written about Black Panther. 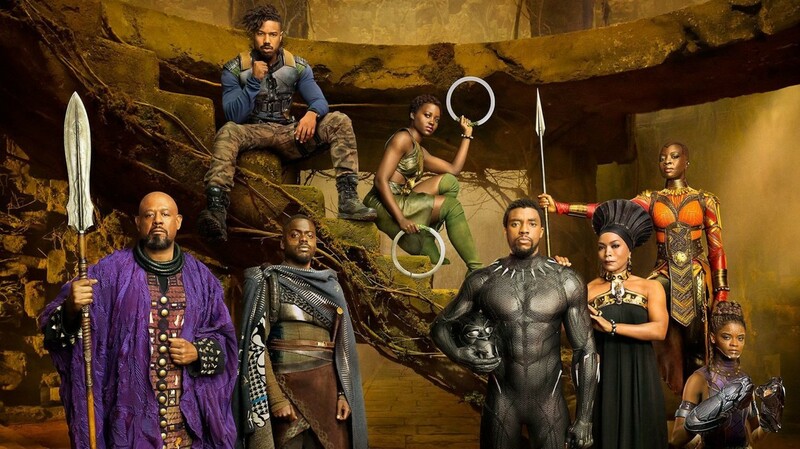 Here are all articles I’ve written featuring Black Panther discourse! “Reducing a country’s value down to stereotypes is obviously wrong, but, while it’s important to understand the various contributions Africa and ‘sh*thole’ countries like Haiti have made to the world, it’s also imperative to know that a nation’s value isn’t in what type of goods it can produce or what type of global market share it can grab. A nation’s value is in its people. Every person, regardless of their birth country, has the potential to make the world great, and good leadership is recognizing this and giving immigrants who have chosen to live in a country a shot to live out their dreams. Unfortunately, as we’ve seen in America, this isn’t always the case. “You don’t need me to tell you that Marvel has been lopsided in terms of its racial representation. In fact, calling it “lopsided” is being kind. Except for Black Panther, all of the superheroes who have led feature films in the MCU have been white men. The issue gets compounded when Marvel seems like it’s more committed to showcase people of color and women in secondary or background roles. While Nick Fury is the glue that holds the MCU together, he’s still a character that toggles between secondary and tertiary status. The more popular black superheroes, like War Machine and Falcon, are, indeed, cool. But they are also still second to their white friends, Iron Man and Captain America. They back up the white superheroes, sometimes act as their conscience, and are utilized as a soundboard for their ideas. 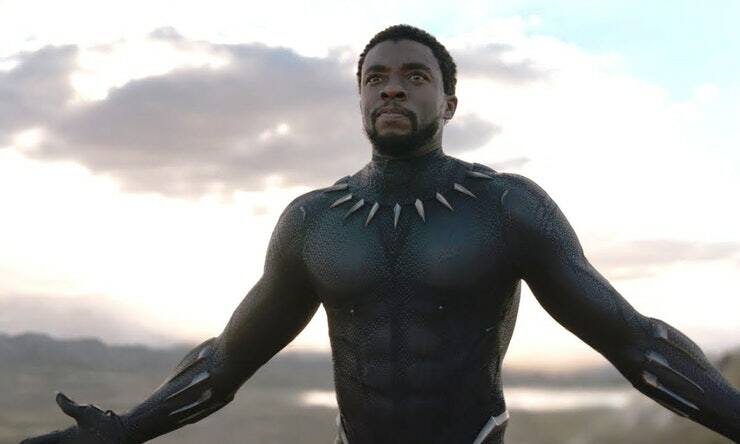 In short, these black superheroes do a lot of emotional legwork for their friends, while the script doesn’t often write the white superheroes reciprocating much of that emotional labor back. “The film could have easily focused on the men of Wakanda, but instead, the women are given the forefront. They are the warriors, the technological minds, and the shapers of a country. While T’Challa is the king, the women around him are just as in control of Wakanda as he is. “The specificity of Killmonger’s anger and the feelings that propel him towards his goals remind me that a film like this might not exist in such a powerful way if it wasn’t in the hands of a black director. Would a white director, or a director of another race, write black characters in the staid, Hollywood way we’re used to? Would Black Panther be less of a cautious, caring leader and more of an African prince stereotype? 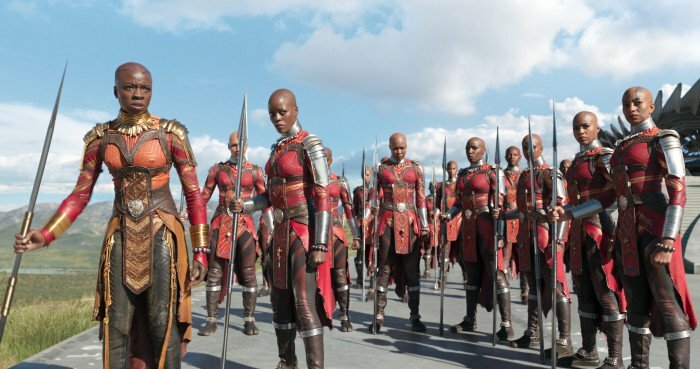 Would the Dora Milaje be reduced to sexuality, or would their femininity be erased entirely, thus perpetuating the stereotype of unattractive, “manly” black women? Would we have gotten the transcendent message of pan-African unity and spiritual healing? Who knows. All that comes to my mind is someone like Quentin Tarantino taking this project and keeping the characters to their proto-blaxploitation roots. While we might like the result, we wouldn’t be moved by it. I certainly wouldn’t be trying to tap into my African culinary roots because of it, or digging deeper into my Ancestry DNA results the way I am now. I would have felt as I did after watching Tarantino’s Django Unchained (2012)—I’d think, “The film’s got some interesting things to say,” and move on. “The release of Black Panther: The Album, turns my mind towards the other Marvel soundtracks released throughout the MCU’s first ten years. If we’re speaking honestly, Marvel tends to play it safe with its soundtracks, which means they are rarely unique. An abundance of focus on Hans Zimmer-esque brass and typical blockbuster cues have created too many soundtracks that are just serviceable to the action instead of iconic scores.